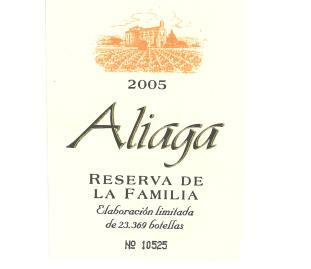 Reserva De La Familia Vina Aliaga – Topsy Trading Co. Ltd. Round and smooth, medium bodied. A great quality modern wine. Aged in new barrel for 14 months, originally made for family only, great quality and value.